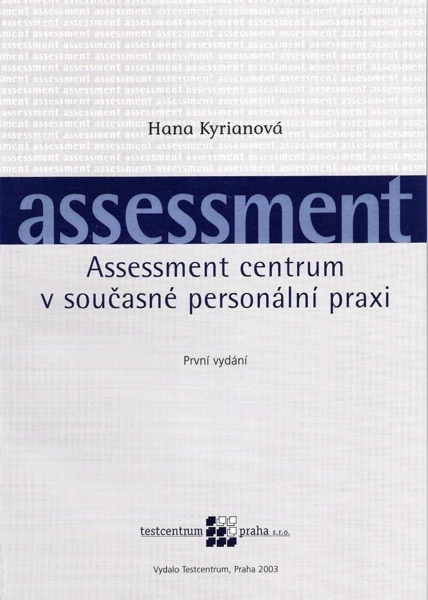 The book focuses on Assessment Centres as they are used to select new employees mainly in the commercial sector. It is first and foremost a practical handbook for HR personnel who are either preparing an Assessment Centre themselves or contracting specialists to do it for them. It defines Assessment Centres and shows their history, deals with finding out selection criteria, choosing AC structure, social roles, processing output, validity and reliability, ethics… It also includes one case study where an Assessment Centre was used to fill in a greater number identical positions. The author is drawing on her own experience with preparing and carrying out Assessment Centres in the commercial sector. For years she has been specialising on applying work psychology on the area of selecting and hiring new employees with the assistance of Assessment Centres and psychodiagnostics.